Barbara Oakley, Ph.D., runs the most popular massive open online course (MOOC) of all time. Roughly two million people have enrolled in it, which is about equal to the enrollment in all of Harvard’s MOOCs combined. Oakley developed this wildly successful course in her basement. It cost less than $5000. When you think about it, it makes a lot of sense that the most popular MOOC ever would be one about learning itself. What could be more universal? “I think [the MOOC's success] is a tribute to the fact that, if you really move into the new medium and think about how people can learn effectively instead of trying to transpose the old-fashioned ways of people just standing in front of a chalkboard and teaching, people love it,” Oakley says. Recently, Oakley developed a second course. “Mindshift: Break Through Obstacles to Learning and Discover Your Hidden Potential,” which serves as accompaniment to her new book of the same name. Recruiter.com: I’d love to start with the title of the book: Mindshift. Can you explain what exactly a “mindshift” is and why it’s relevant to job seekers and professionals? 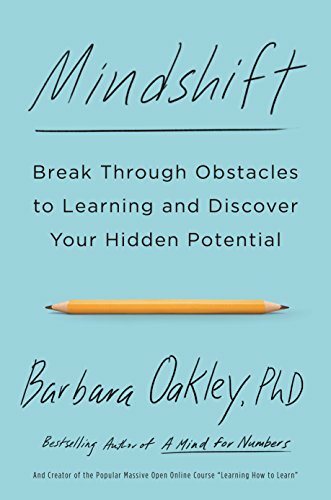 Barbara Oakley: A mindshift is a change in your own mind that occurs through learning. One of the easy examples for me to give is, when I was young, I hated math and science. I kind of flunked my way through elementary and high school math and science. Then, when I was 26, I was getting out of the Army, and I realized I had no marketable skills. So I decided to see if I could learn to do math – and now I’m a professor of engineering. It clearly worked. I think it’s clear that we are all capable of doing far, far more than we ever imagined we could do. This book is meant to give people examples of people who have made small and large changes in their lives because of what they learned, but also to give insight into what science has told us about how we learn, change, and grow not only when we’re young, but even well into maturity. RC: Related to this concept of a mindshift, the book also talks about the importance of broadening your passion. There’s a quote in the book I found particularly interesting: “Have you ever unnecessarily limited yourself by heeding advice to ‘follow your passion’?” That’s pretty common advice, but you suggest it’s not all it’s cracked up to be. Could you say a little more about this? BO: We’re told to follow our passion, but the problem is that passions develop around what we’re good at. Maybe you think that isn’t a problem, but the challenge arises because some things take longer to get good at. 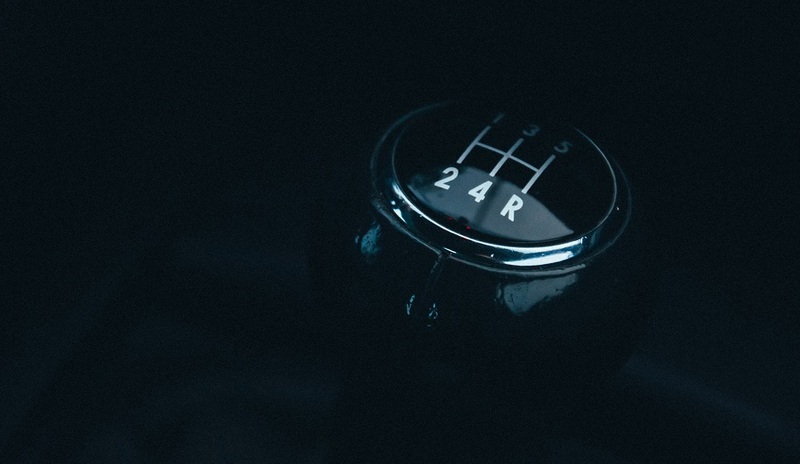 We tend to just throw those things out the window and say, “I’m not good at this, it’s not my passion, I have no innate talent.” The reality is that, with a little more time, those passions and that talent can actually develop. RC: This reminds me of another important concept in the book: broadening your learning toolkit. Why is this something the book stresses to readers? If you know about how your brain works, you know that when you first look at something, you’re using one set of neural networks. When you get stuck, you need to back away and let a second neural network work away in the background. Then, when you return to it, you can actually solve the problem. So, it’s actually perfectly normal not to understand something the first time you see it, and people don’t realize this. Another thing is that many people’s biggest challenge in regard to learning something new is simply procrastination. We procrastinate in part because when you even just think about something you don’t like, it activates a portion of the brain that experiences pain, so the brain naturally skitters away from that thought, and that’s when you procrastinate. A few simple tools, like the Pomodoro Technique, can allow you to skip past that procrastination before it even activates the pain and get you going with what you need to be doing in order to learn and change. RC: Mindshift also touches on taking an active role in changing your brain. I think that, normally, a lot of us aren’t even aware that it’s possible to actively change your brain. Can you give an example of what it looks like to change one’s brain? BO: A lot of times, we passively watch something, but we don’t try it ourselves. What happens is, if we actually actively do something ourselves instead of just passively watching it, thats when it begins rewiring things in our brain, enhancing, building, and growing new circuits. There is even a case of a gold-medal-winning javelin thrower who simply watched videos online because he couldn’t afford to go train with an expensive coach. Then, he actively practiced based on what he was watching. That’s what made the changes in his brain. Another example: I had a student who came up to me once after flunking a test. He held the test up and said, “I don’t understand how I could do so badly on this test. I understood it when you said it in class!” And that’s part of the challenge: We unfortunately have given learners the idea that all you have to do is understand something and – click – it will magically stay with you for the rest of your life. The reality is that understanding isn’t enough. You need to actively do the problems yourself. You need to work, understand, and practice with material in order for those neural circuits to actually grow. RC: You yourself teach MOOCs, and in the book, you talk about how important they are, so I was hoping you could elaborate on that, too. Why are MOOCs and online learning so important for today’s job seekers? BO: MOOCs are life-changers! The reality is most people – particularly people in the 25-50-years-old range – can’t afford to just quit their jobs, go back to school, and take three or four years to get a degree. It just doesn’t work that way for people who have really busy lives. But these people want to learn more about what they’ve already studied, or they want to make changes. What MOOCs do is provide a way for you to get a top-notch, world-class university training. For example, Coursera has 150 of the world’s leading educational institutions offering MOOCs on its platform. You can find whatever interest it is you want to pursue. Whether it’s coding, data analysis, business marketing, or medieval manuscripts, they have great courses for that.